8 mil white vinyl film tape with removable adhesive used as a die cuttable sandblast resist film tape. Jaco Aerospace and Industrial is your one stop resource for 3M(TM) 8 mil White Vinyl Film Tape 33518, 8 mil white vinyl film, 1.2 mils removable acrylic adhesive, 61 lb bleached kraft paper liner. 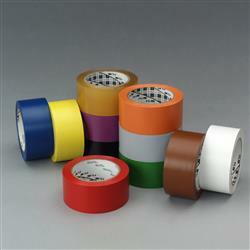 (Venture 480) and all of your 3M Products, Tapes, aerospace and industrial needs.